There’s a housing crisis in both Eagle and Summit counties, where the resort communities with booming economies have seen their supplies of long-term housing for workers decimated by short-term rentals. Summit County’s housing needs assessment study this fall found the region needed 1,685 new affordable units for 3,035 employees by 2020. Eagle County’s 2016 housing needs assessment study showed a need for 11,960 new units by 2025, with about 4,500 units are required to meet current demand. Summit County, where 57 percent of voters approved the sales and use tax, is a decade into developing new housing for its swelling workforce, making it one of the country’s few rural municipalities in the home-building business. The county and its six towns have been funding housing development since 2007, with voter-approved sales taxes funding more than $13 million for housing construction and land acquisitions in Breckenridge, Frisco and Silverthorne. The tax authorized on Tuesday is expected to generate as much as $8 million a year. Eagle County has never approved a countywide sales tax to support affordable housing. The geographically diverse county, with a fifth of its population far away in the Roaring Fork Valley, had four tax increases on Tuesday’s ballot. Only two — both supporting schools — passed. The 1A workforce housing tax proposal, projected to generate about $5 million a year, lost big, with 63 percent of voters against. A property tax proposal for open space and trails also failed. The resounding defeat of 1A surprised Chris Romer, the head of the Vail Valley Partnership, which spearheaded the ballot initiative after community surveys this summer and fall found overwhelming support. 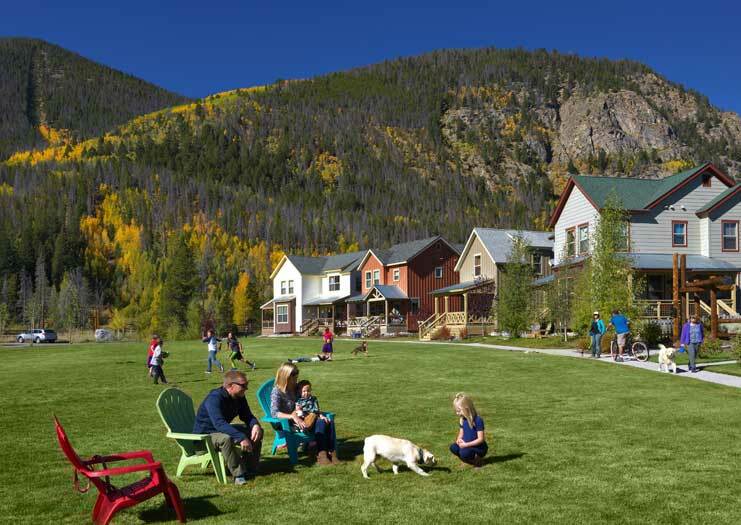 It’s easier for Summit County because residents can see thriving affordable housing communities like the Block 11 and Wellington neighborhoods in Breckenridge, said Melanie Rees, a workforce housing consultant who helped with Summit County’s latest housing needs assessment.